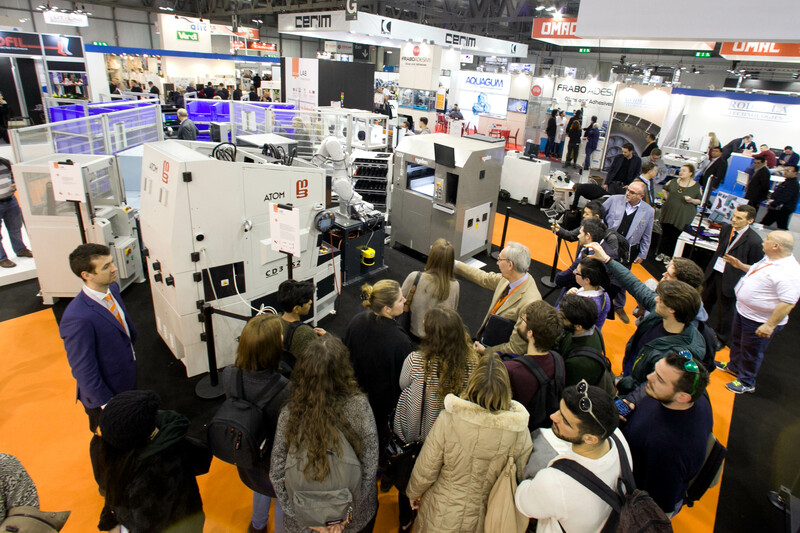 At Simac Tanning Tech 2018, within its Innovation Arena and in collaboration with ELSE Corp, Shoemaster and many other important partners, ATOMLab presents RoboShop, the work & shop of the future where the purchase and customisation experience merges with the possibility of living in real time the manufacturing process, in a perfect digital fabrication framework that begins with CAD modelling (Shoemaster), continues in the virtual retail space (ELSE Corp) to end up with robotic fabrication (ATOMLab). 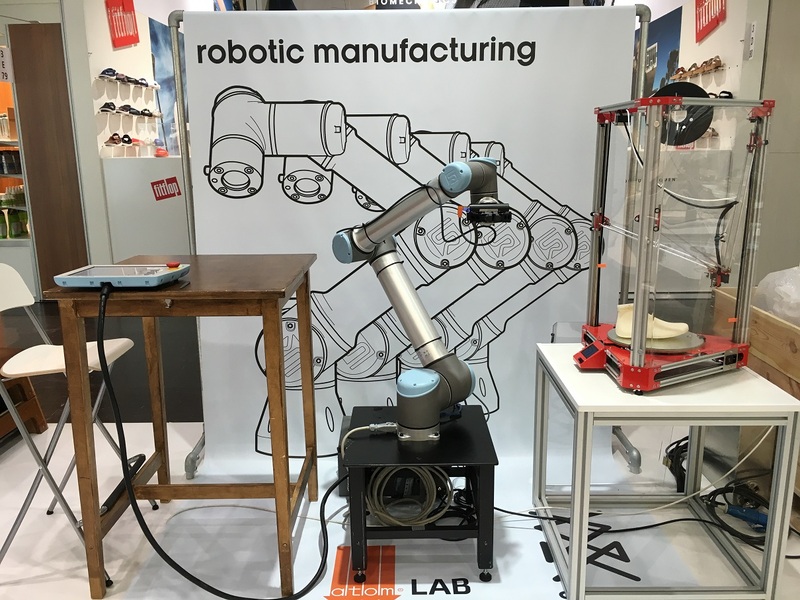 At Simac Tanning Tech, the main international exhibition for footwear industry technologies, Atom Lab has connected 3D CAD design, product customization and a more and more automated working cycle, to realize a robotic cell able to produce custom shoes on-demand directly on site. The project, carried out in collaboration with Else and many other technology partners, aroused the curiosity of the large number of people who attended the show. 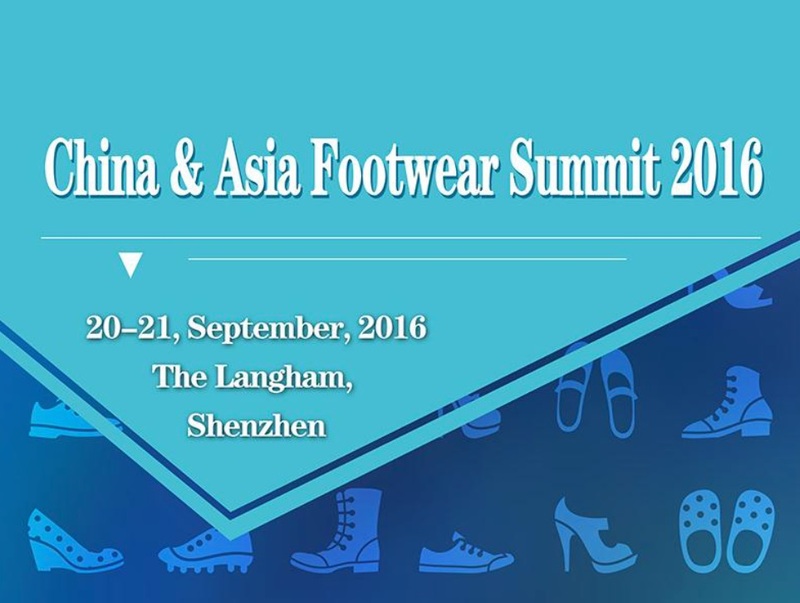 On September 20 and 21 2016, Shenzhen (Guangdong – China) hosted a major summit on the future prospects of footwear production in China and Asia. In a keynote speech full challenging cues ATOMLab presented the most important future applications of Industry 4.0 on footwear production. In July 2016 ATOMLab attended the GDS Düsseldorf, hosted by SLEM, a training a footwear training and education centre based in Holland and famous for his research on advanced footwear concepts. 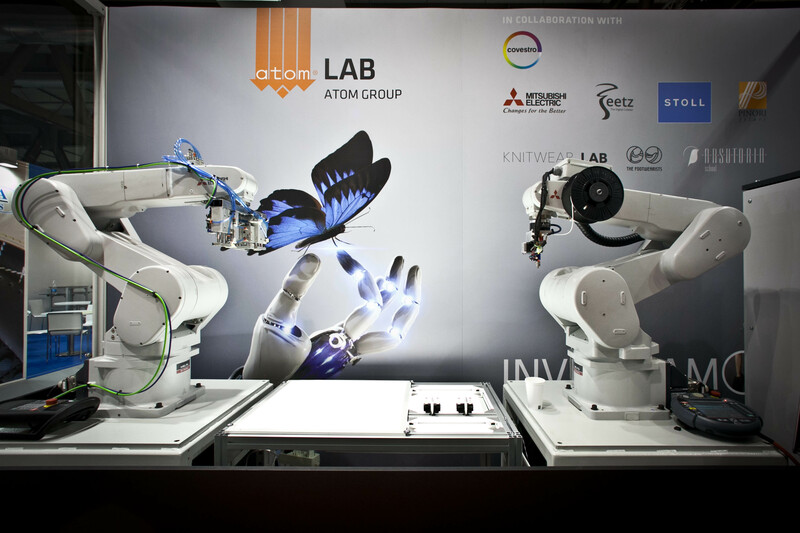 ATOMLab has brought to the fair an application of cooperative robotics. 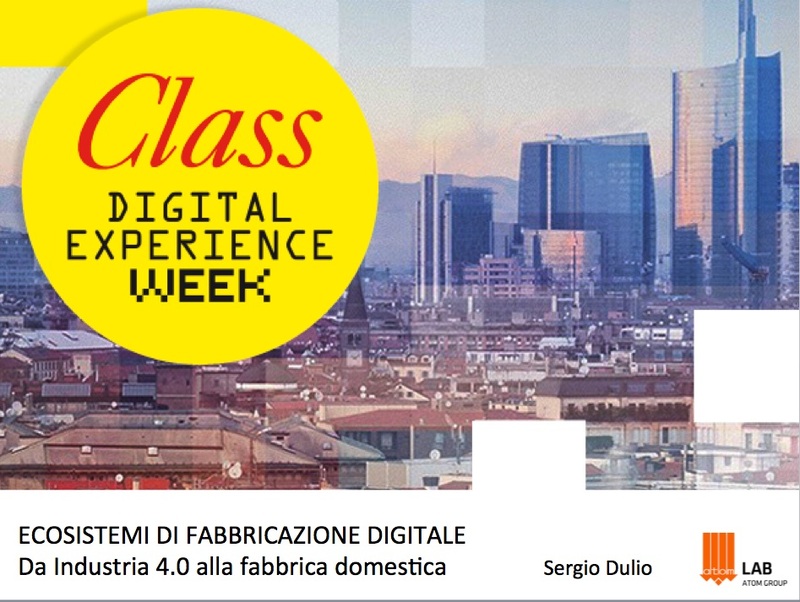 ATOMLab was invited to show some examples and some digital manufacturing applications in the first edition of the Class Digital Experience Week held in Milan from June 27th to July 3rd 2016. In the workshop organized at the closing of the event, he presented his research on the topic of Industry 4.0. 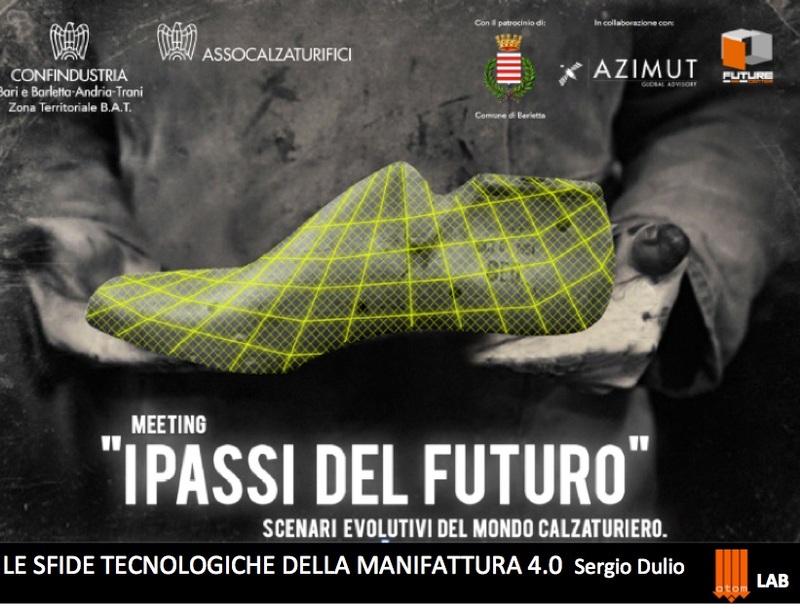 ATOMLab participated in the event “The footsteps of the Future” organized in Barletta on 23 and 24 June 2016 by the footwear section of Confindustria Bari, presenting his vision of the future of shoemaking. 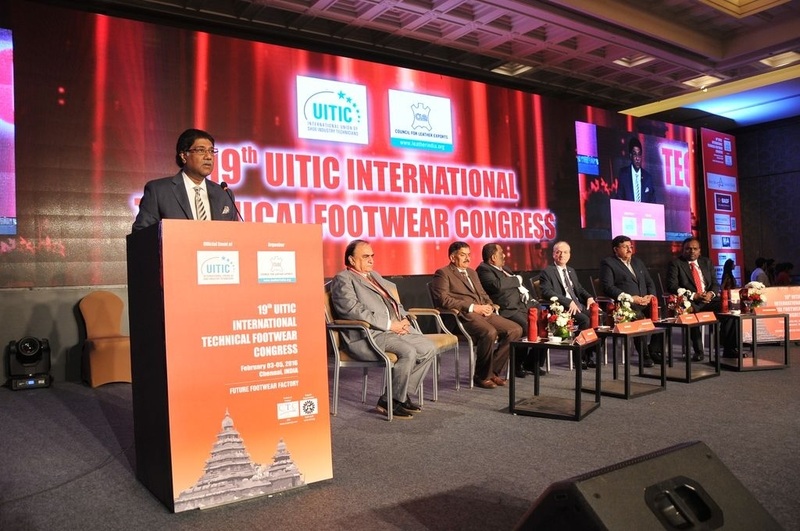 At the beginning of February was held in Chennai, India the 19 ^ UITIC Congress, organized by the worldwide association of footwear technicians. Over 500 delegates with a large foreign representation attended the event. ATOMLab presented some advances on leading edge technologies the team is working on. The next congress (the number 20) will be held in 2018 in Portugal. MCPC 2015: the 8th world conference on Mass Customization, Personalization and Co-creation went on stage in Montreal from October 20th to October 22nd. the regular gathering of the mass customization community was this year organized in Montreal – Canada at the premises of the University of Quebec. Researchers, entrepreneurs and practitioners from different countries got together once more to discuss about the evolution of the paradigm and on the challenges that managing its complexity poses. Additive manufacturing (or 3D printing) is more and more spreading its application spectrum as an innovative manufacturing approach for various kinds of finished goods. This is happening also in the footwear world where we see a growing number of concepts whereby the shoes are partially or totally manufactured with these new techniques.